If you’re looking for help with LinkedIn ProFinder, one of the best places to turn for assistance is the platform itself. 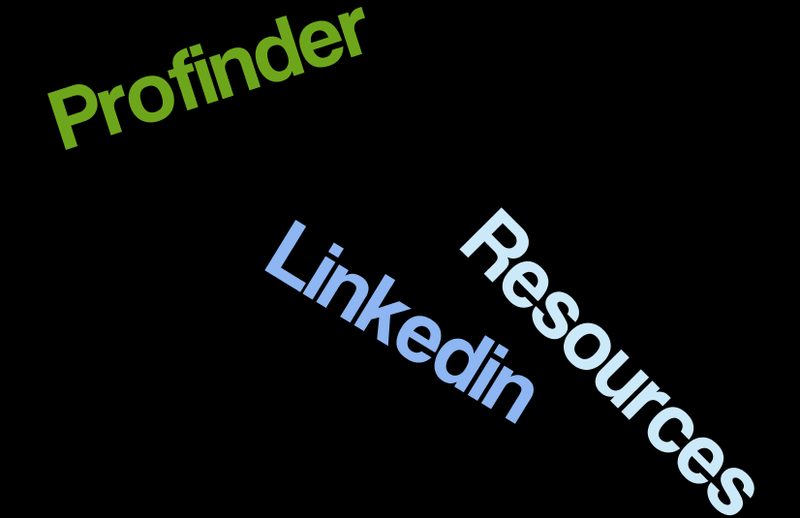 The LinkedIn ProFinder Blog and social accounts are a wealth of information and provide several resources. LinkedIn groups on the topic exist, but are largely inactive. Let’s walk through the many ways LinkedIn helps you navigate this freelance marketplace. The frequently asked questions page is divided into three sections: general questions, questions for clients, and questions for freelance professionals. These FAQs answer just the basics and provide links for further information. If you can’t find the answers to your questions, you can ask LinkedIn directly. Their “Contact Us” page invites you to type in your question first, in the hopes that they’ll already have the answer for you in their database. If the answers don’t address your specific question, you can fill out a form to send it to their support staff. 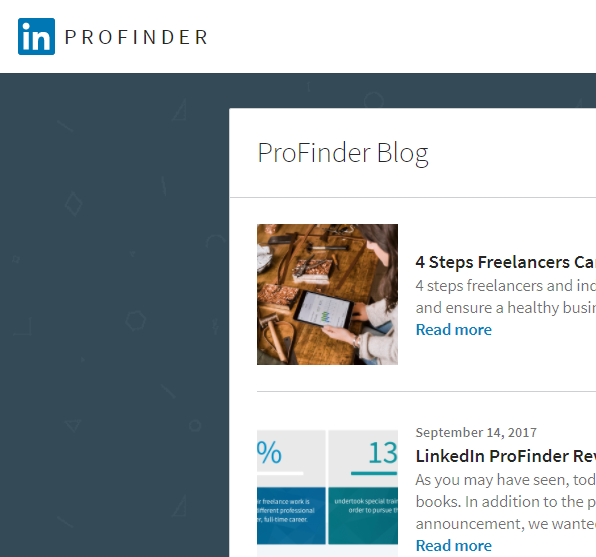 Whether you use LinkedIn ProFinder or not, the LinkedIn ProFinder Blog is a good resource to visit, especially if you’re a freelancer. LinkedIn ProFinder has accounts on both Twitter and Facebook. With both accounts, they share links from their own blog as well as from business and entrepreneurial publications. They’re relatively small, for now, but they’ve been making a concerted effort to increase their reach on both platforms. If you’re looking for quick answers, you can probably get them on these platforms. You might find it help to talk to others in your industry niche about LinkedIn Profinder. 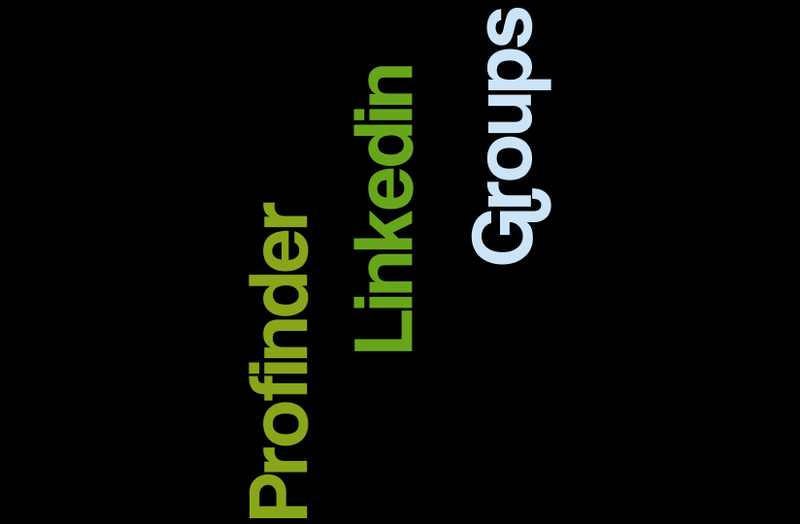 Here are Linkedin Profinder groups – relatively inactive onese — where such people congregate. While there is some discussion of ProFinder, the activity is light and there are many general business posts. LinkedIn ProFinder provides the expertise you need from experts you can count on. Take your project from to-do to done. Want to learn more about LinkedIn ProFinder?